All parents and all families have strengths – and all parents and families need support at some point! No one can eliminate stress from parenting, but a parent’s capacity for resilience can affect how a parent handles stress, and what impact daily stress has on their children. Furthermore, we have seen time and again that parents that are supported in their role as “first teachers” become positive – and powerful – agents of change, in their own families and beyond. Local data show that children that have been the least prepared for kindergarten are four times as likely to have a parent that does not have others who will listen when they need to talk about their problems, and three times as likely to have a parent that says they don’t know how to help their child learn (both indications of lower resilience). Parents need special supports in their role as first teachers. Parents are more likely to support healthy, favorable outcomes for their children, if they themselves are well and resilient. Our aim is not only to support individual parents in being healthy and strong, it is also to create an enabling environment that allows for parents to lead positive change in the community. The well-being of parents – including their mental health – plays a critical role in children’s development. Early experiences affect the development of brain architecture, which provides the foundation for all future learning, behavior and health. To develop a healthy foundation, children need caregivers who are emotionally responsive and available. When a parent is impacted by a mental health disorder, they are less likely to be able to respond to their children’s emotional needs. Nationally, depression and anxiety affect up to 1 in 5 women during or after pregnancy, and nearly 50% of women living in poverty. The mental health of fathers, grandparents, and other primary caregivers all influence children’s development as children develop in the context of their relationships with their caregivers. Untreated mental health and substance use disorders negatively impact the quality of the relationship between the caregiver and the developing child. This strategy aims to create a system for comprehensive mental health screening and supports for parents, caregivers, and children. It will include scaling up access to treatment in dyads (parent-child), as well as in individual and group therapy, and through support groups with professionals. >>> Leading action on this strategy is the Monterey County Maternal Mental Health Task Force. The Task Force is now studying maternal mental health services in the County, including doing a survey of hospital practices, to identify actions needed to improve access and outcomes for pregnant mothers and parents. The team is facilitated by our partners at Monterey County Behavioral Health. This strategy involves scaling up “parent-child playgroups” where children come with their parent and learn that ‘play’ is the way that young children learn. Playgroups are currently being implemented across the county, but there is more demand for play groups than can be met, particularly in South County communities. Expansion could include increasing the offerings of current providers, and opening play groups in more settings by working with Child Welcoming Businesses or service providers offering recreational activities for children and families (such as libraries, Recreation Departments and sports clubs). Key components of play groups that seem to contribute to positive outcomes include: having trained facilitators, and small, consistent groups to build family relationships. 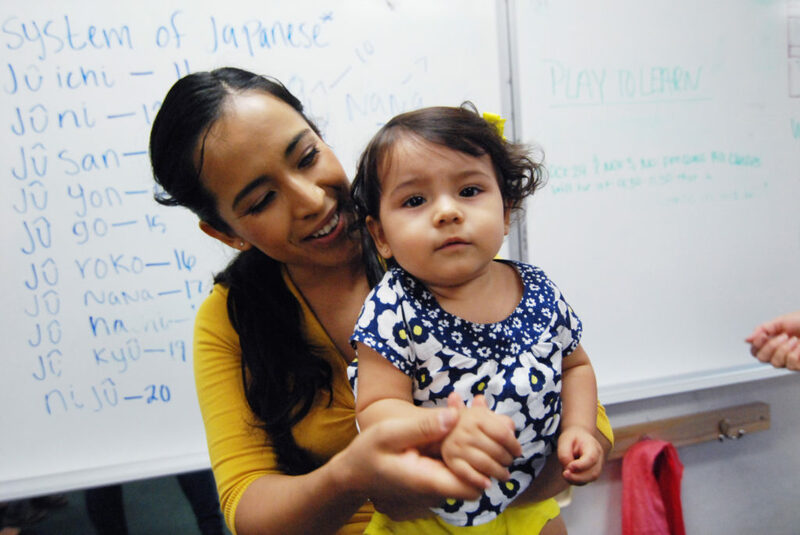 Playgroup facilitators support parents with modeling, coaching, observation, and discussion – based on adult learning approaches and research on early childhood development. The groups support parents with knowledge and skills needed to change/support behaviors that are developmentally appropriate for children. Implementation of this strategy will include coordination and collaboration across playgroups throughout the county. 2 Throughout this webpage, the term ‘parent(s)’ is used to mean primary caregivers, both biological parents and others – such as legal guardians or grandparents – that play an important role in children’s lives.